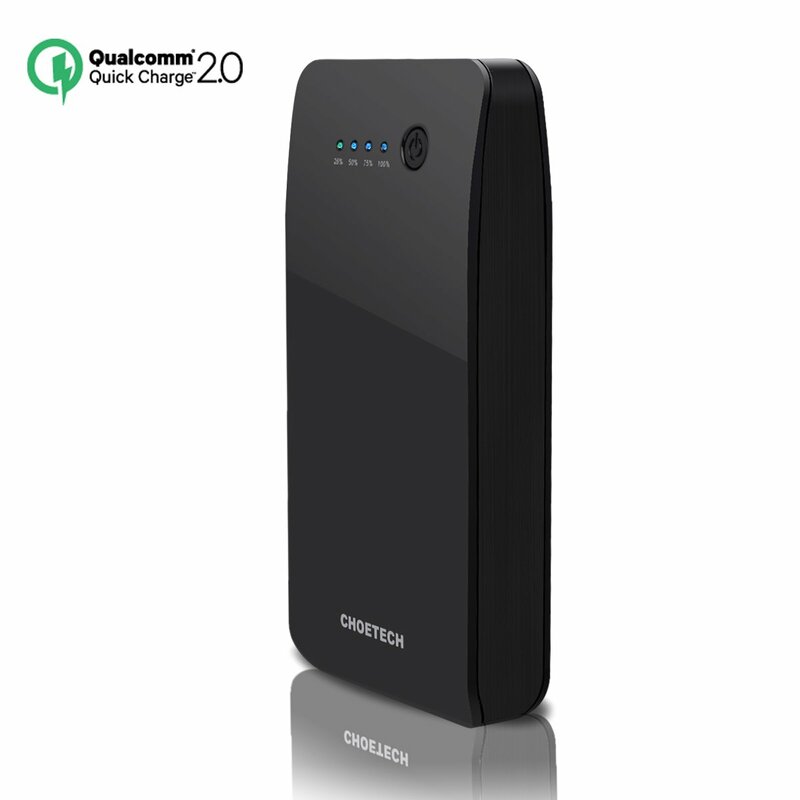 Choetech recently sent me the 15600mAh Quick Charge Portable Power Bank to test out and provide a review. So, I put this to the test a little bit. First off, the unit is not too large for this much power, but it is a bit heavy at about 12.5 ounces. 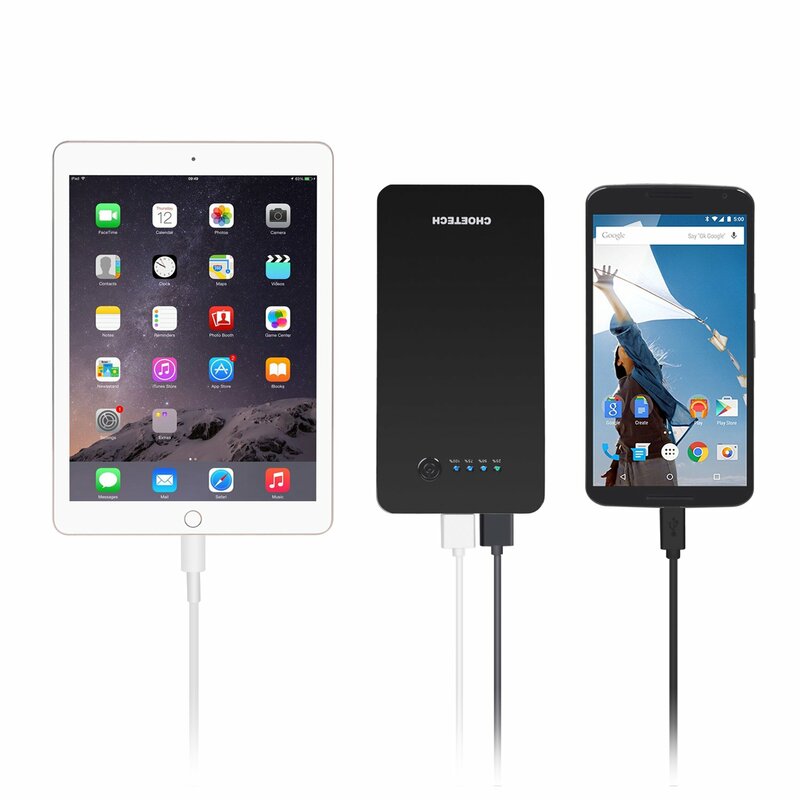 The device offers 15600mAh and input ports, 1 micro USB and 1 Apple Lightening, which is very convenient if you want to share the device amongst lightening and non-lightening users. The micro USB input is rated at 5V/2.1A, 9V/1.5A while the Lightening offers 5V/2.1A. In addition there are two output ports, a regular 5V/1A USB and an auto detect USB 5V/2.4A, 9V/1.7A, 12V/1.3A. Its nice to have the multipe output ports for those times you need to charge more than one device at a time. On the top there is a power button, which, if not pressed, your devices will not charge. There is also four LED indicators at 25% increments to provide battery charge status. Using my Nexus 6P, I tried out the charging on two different occasions starting from the same low battery point. On the first occasion the battery was at 10% and I used the auto detect fast charge port. From 10% to 100% it took 2 hours and 5 minutes. On the second occasion I used the regular USB port, again going from 10% to 100%, but this time it took 2 hours and 40 minutes. 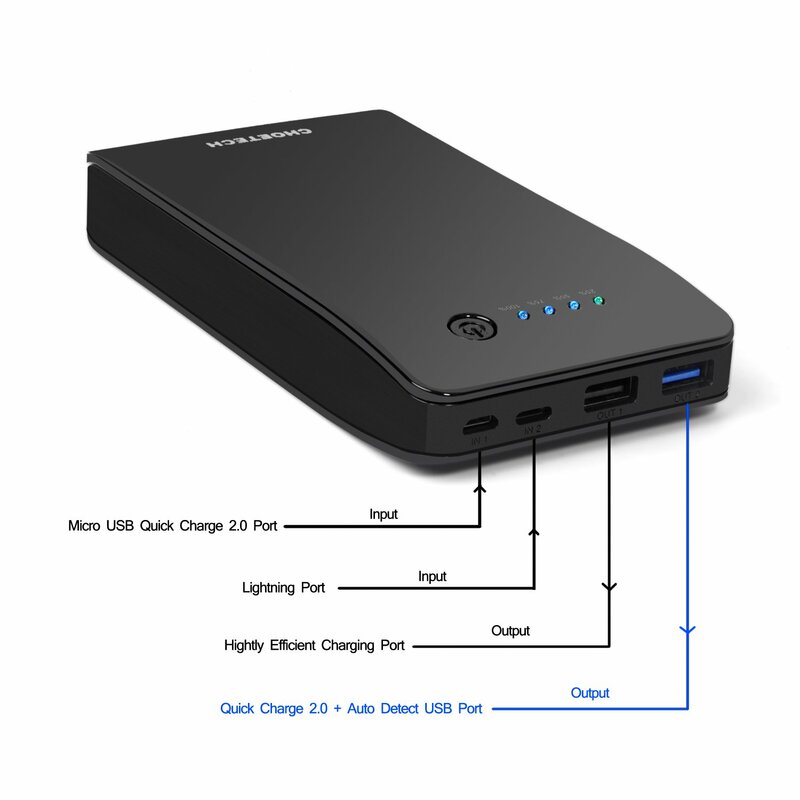 This is a pretty decent charger to have in you bag for those times you need extra power. You can pick one up from Amazon here.